Ruiz de Montoya. Misiones. Argentina. November 2015. 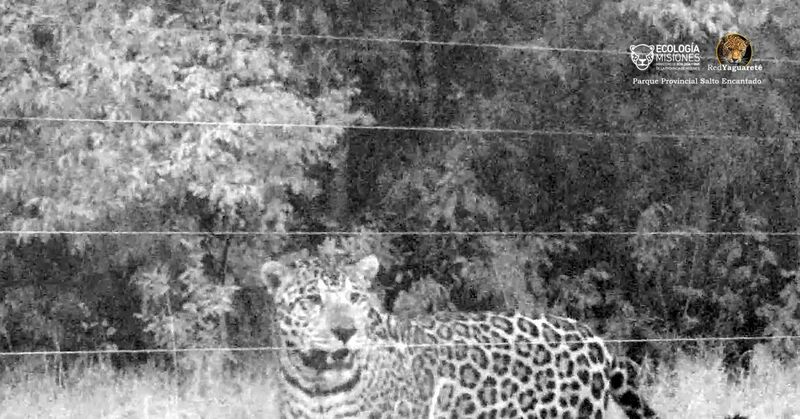 Farmers who have implemented a differential livestock management which difficult and significantly minimizes feline attacks have been compensated by the attack on his property by jaguar near the Salto Encantado Provincial Park, at the southern end of the Green Corridor of Misiones province. The advance of the cattle frontier on the forests of the Green Corridor and sometimes to the edge of protected areas has been significant and this has incremented the meetings of cows with the predator, which is in CRITICALLY ENDANGERED and protected by national and provincial laws. Conflict situations between jaguars and ranchers are historical, and usually end up losing all; farmers their cows and jaguars their lives. 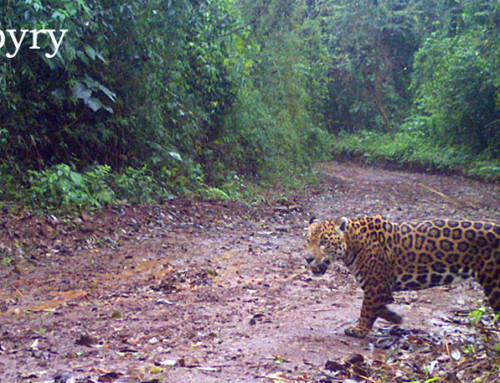 That is why, since 2011 the Jaguar Network/Red Yaguareté, with support of United Nations, the Misiones Ministry of Ecology and Félix de Azara Foundation, develops a particular job: electrified fences to prevent and/or reduce jaguar attack the calves. And the results have been excellent: since this system is working in a neighboring field to the park, there was no attack inside. However, a calf that was outside the special pen was predated by the big cat, and then the Jaguar Network/Red Yaguareté asked the Ministries of Ecology and Agriculture, in compliance with the Large Cats Law (which provides this type of compensation) the farmer who is working responsibly and looking for solutions, be indemnified. 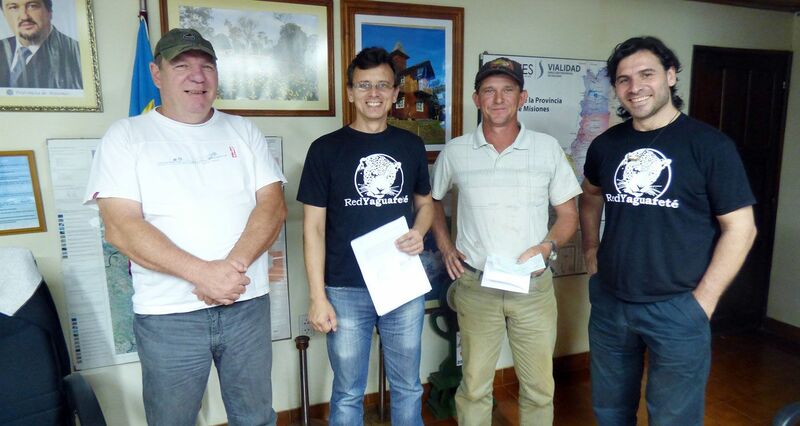 And so it was, on 17 November we presented the check to compensate the rancher for the loss. “This is very important, we found possible coexistence between farmers and jaguars, still very close to the forests where the cat lives sites. With a little forward, it is possible to implement simple, low-cost solutions, we have demostrated this. And for those who have this will to live together, it is very important that the State recognizes and compensate them against possible losses. There is no foolproof corral, but we see that the difference between fields applying these measures and those still reluctant to do so is really remarkable, “says Lic. Nicolás Lodeiro Ocampo, Director of the program and president of the NGO. The Big Felines Law provides a compensation to farmers for losses of livestock by big cats pradation. However, it is still unregulated and then the system is still cumbersome. “Urge regulate this Act and form the compensation fund to compensate farmers who work responsibly. ” said from the NGO. “Finding durable and easy to implement solutions is possible: the producer has the will, we help him/her, accompany and the State recognizes that effort if there are losses, that simple. But beware, there are farmers who are demanding help in various media but then they reject the offer we made. 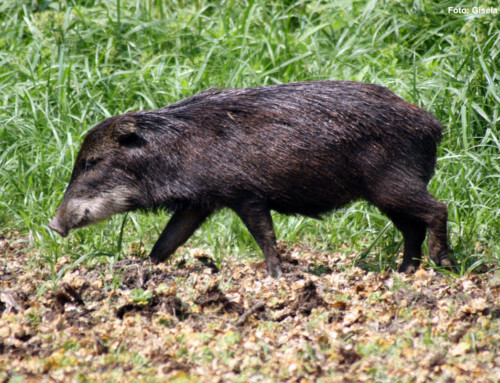 They should know that if a calf lose costs represent between 5 to 7000 pesos, killing one jagar can represent an average of half a million, because severe laws protect them. Today it is very easy to find out who killed a jaguar or made the request. In 2015 they have been applied multimillion fines and increasingly justice is addressing these cases quickly and firmly. Coexistence is possible and there is support available, there are no excuses, cattlemen and jaguars can -and should- live together”. They claim from the Jaguar Network/Red Yaguareté.